The application identifies Teslaquila as either "distilled agave liquor" or "distilled blue agave liquor". Tesla's CEO and future former board chairman Elon Musk tweeted out a "visual approximation" of the label. Elon Musk first introduced the idea and the label earlier this year during a April Fools’ Day prank. What began as an April Fools’ Day joke by Elon Musk may soon be a reality and people don’t know how they feel about it. 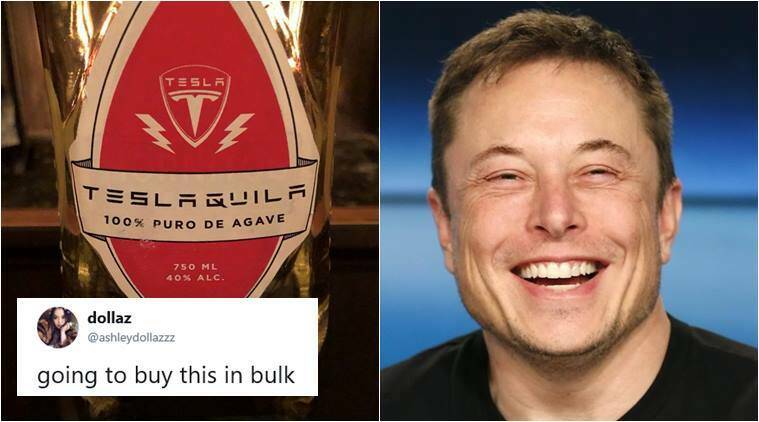 Earlier this year, the Tesla CEO teased netizens with the idea of a Tesla-branded tequila, calling it ‘Teslaquila’ and it got the attention of many. Now, months later he informed his followers on Twitter that the tech company officially has filed an application with the US Patent and Trademark Office to trademark it! The application identifies Teslaquila as either “distilled agave liquor” or “distilled blue agave liquor”. Tesla’s CEO and future former board chairman Elon Musk tweeted out a “visual approximation” of the label, which he had earlier posted in April, after fooling people that Tesla went bankrupt. “While there is no guarantee that a Tesla-brand tequila will hit the market, the company filed an ‘intent to use’ trademark for Teslaquila, which means that it is currently not using it, but has a ‘good faith intention’ to use it in the future,” CNBC reported. Now, Netizens can’t stop talking about the brand’s probable liquor and can’t wait any longer! You know if you distill that a bit more you could run a rocket engine on the stuff. 3 Someone put googly eyes on this revolutionary war general's statue and netizens can't stop ROFL-ing!